December 20, 2003, during path construction taken from inside the Greene Ave gate. On the land that is now Greene Acres, there were once brownstones. Those homes burned and were demolished in the 1970s. The area behind the mulberry trees became a garden worked by Santos Cosme, who was famous throughout the neighborhood for his tomatoes, his pumpkin vines and his charm. Santos was killed in a deli holdup and is memorialized by the cross painted on the back wall. 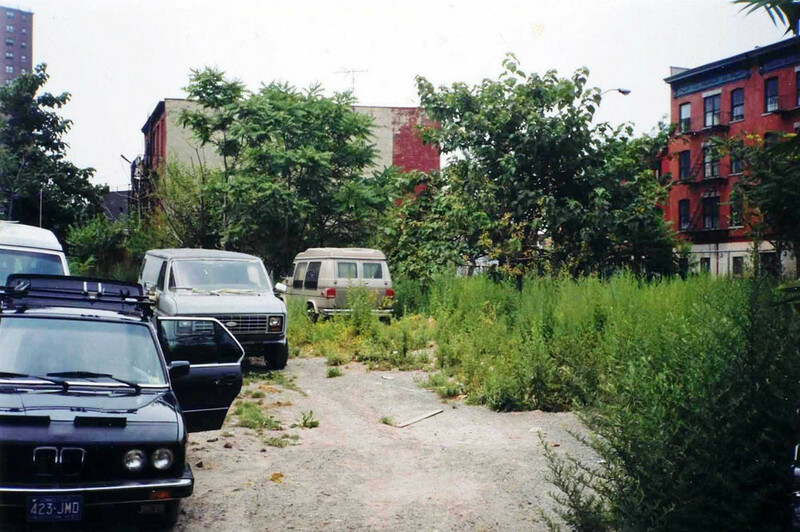 The area was very briefly a community garden again sometime in the 1980s. The raspberry plants near the Paulownia tree may be remnants of this garden. 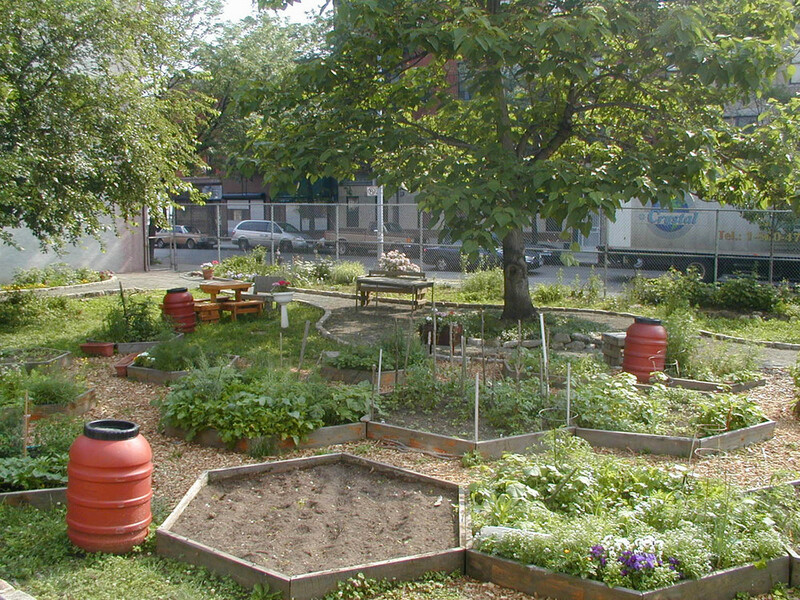 In 2000, members of the environmental group Time's Up wanted to start a community garden. The New York Garden Trust pointed them to the lot at Franklin and Greene. In the spring and summer of 2001, Time's Up members and a growing group of neighbors cleared the lot and began planning a garden. Weeds were brought under control, rubble and trash were removed, and a fence through the mulberries was taken down. That fall, we laid stones, built raised beds and discussed landscaping ideas and bylaws. The spring of 2002 brought our first season of planting. The mural was painted in the summer of 2002 by neighborhood kids and YMCA campers under the supervision of two founding members and Green Guerillas. The Brooklyn Botanic Garden helped build our composting system and contributed crabapples, the witch hazel and other plants. In 2003, we installed a rainwater harvesting system with help from GrowNYC.